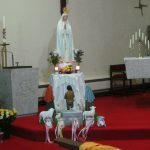 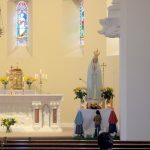 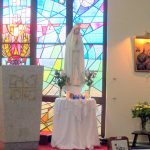 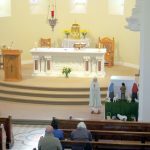 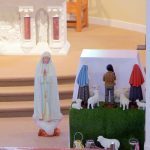 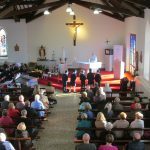 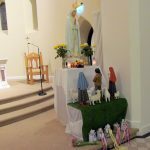 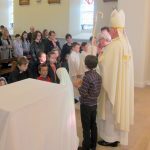 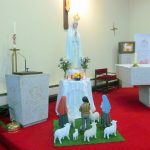 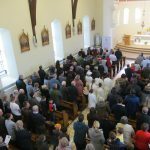 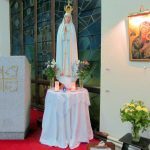 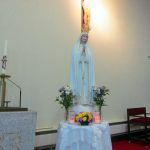 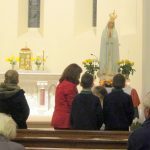 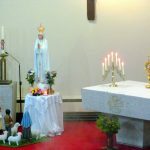 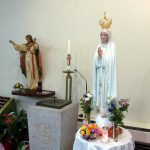 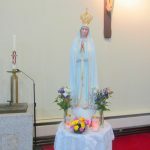 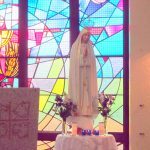 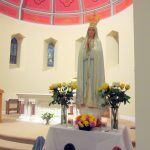 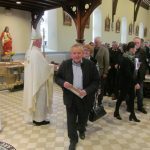 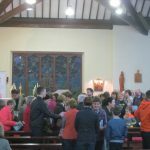 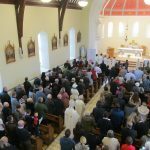 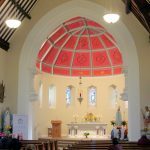 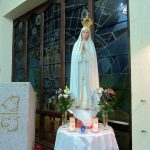 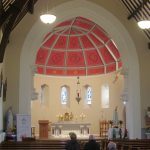 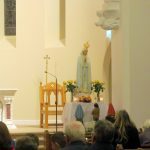 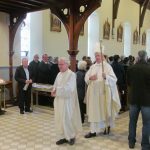 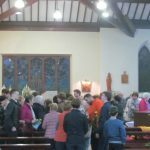 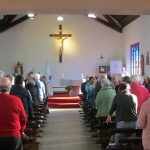 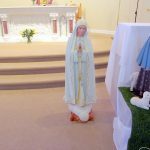 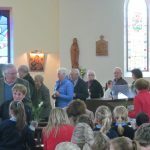 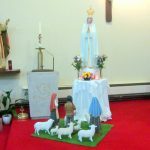 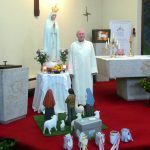 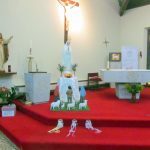 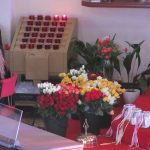 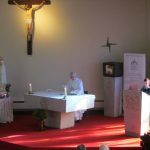 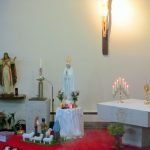 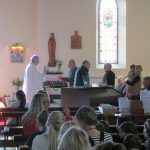 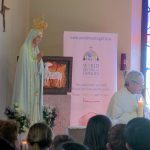 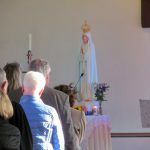 For six wonderful days in October, from Saturday 21st to Thursday 26th, the Parish of Ardkeen hosted the Statue of Our Lady of Fatima which was blessed by Pope Francis in Rome and has been on pilgrimage throughout the Diocese of Down and Connor as well as other parishes in Ireland to celebrate the Centenary Year of Our Lady’s Apparitions at Fatima. 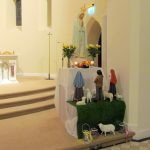 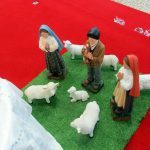 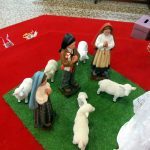 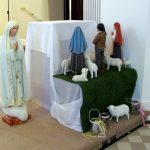 During the six days the statue stayed in both our Churches, St Joseph’s and St Mary Star of the Sea and on each day there was morning Mass and evening Devotions. 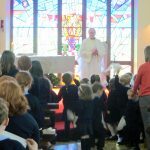 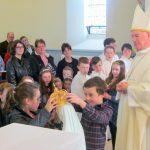 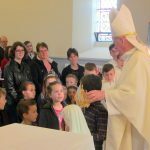 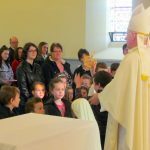 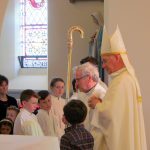 On Sunday 22nd October the children of the Children’s Liturgy Group in St Joseph’s were joined by Bishop Noel Trainor who assisted the children in crowning the Statue of Our Lady before it was put in place on the Altar. 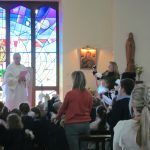 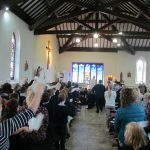 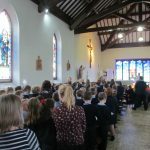 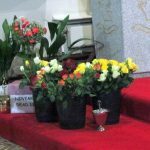 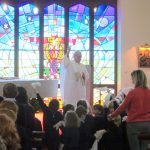 On Wednesday 25th October, all the children and staff from St Mary’s Primary School came to St Mary Star of the Sea for a very uplifting and joyous School Mass. 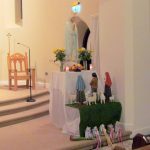 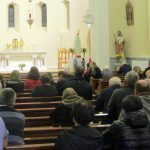 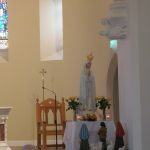 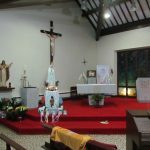 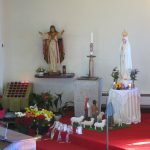 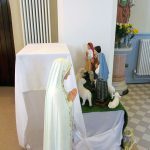 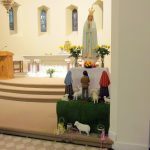 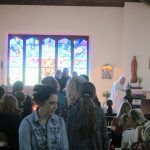 That evening following devotions the Statue returned to St Joseph’s where it remained for the first day of Eucharistic Adoration in the Parish. 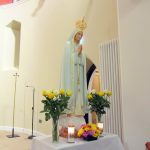 Sadly we bade farewell to the Statue of Our Lady of Fatima following the end of Eucharistic Adoration as it had to leave the Parish of Ardkeen to move to St Bernadette’s Parish in Belfast. 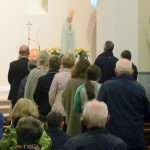 What a wonderful grace filled and joyful few days we had in the Parish when parishioners and friends from neighbouring parishes took time to join in the Masses and Devotions as well as visiting the Statue for private visitation during each day of the visit. 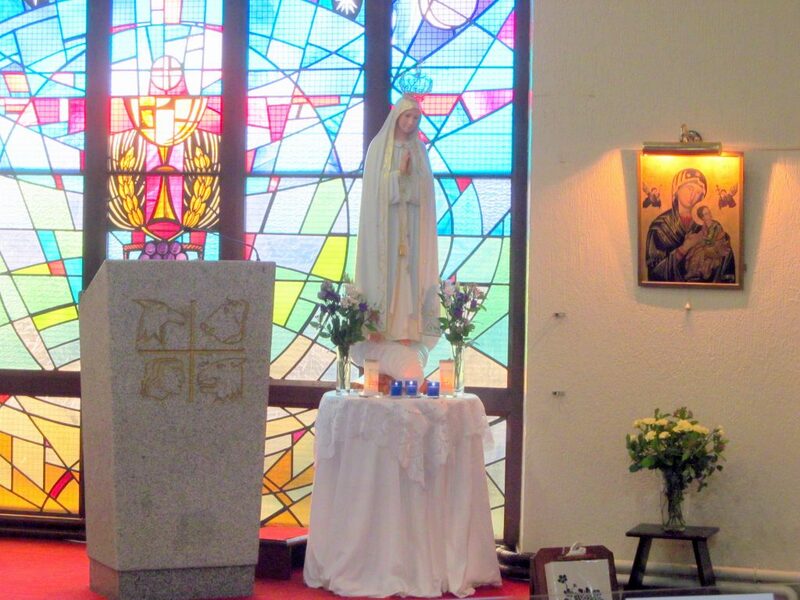 Our Lady of Fatima Pray for Us ~ Ave, Ave, Ave Maria!